Arthur Stewart was born in St. Paul on January 29, 1888 to parents John and Anna, who had settled in St. Paul in the 1870s. John originally had a hardware store at Seventh Avenue and John Street (close to the present location of Red’s Savoy Pizza), but lost his business in the 1893 crash. John eventually became an executive with the Smyth Printing Company. According to a St. Paul Dispatch article, young Arthur got his lucky break at age seventeen when he landed a job in the clerk’s office of the Minnesota Supreme Court. That’s where then-Chief Justice Charles M. Start took a liking to him and urged him to go to law school. Arthur Stewart graduated from the St. Paul College of Law in 1908, and was admitted to the Minnesota Bar the following year. In August of 1917 he enlisted for service in World War I and was commissioned a first lieutenant of the infantry. After his honorable discharge in December of 1918 he returned home to St. Paul, where he had married Hermione Peterson the previous January. The couple later had two children, Hermione and Charles. Stewart took up law practice of law in the firm of Barrows Stewart & Metcalfe, where he stayed for the next twelve years. (Their office was on the fourteenth floor of the Pioneer Building in downtown St. Paul.) In 1922 he became assistant corporation counsel for the City of Saint Paul, working under senior counsel Carlton F. McNally. He himself became corporation counsel for the City in 1925, when McNally was appointed to the bench of the Ramsey County District Court. Stewart also served on the Ramsey County Board of Commissioners, as well as the City Hall and Court House Building Commission in its planning of the present courthouse. He was serving as a member of the State Industrial Commission when he was appointed to the Ramsey District bench in 1946 to fill the vacancy left by the death of Judge James C. Michael. Judge Stewart served in this position until he died in 1970, at the age of 82. 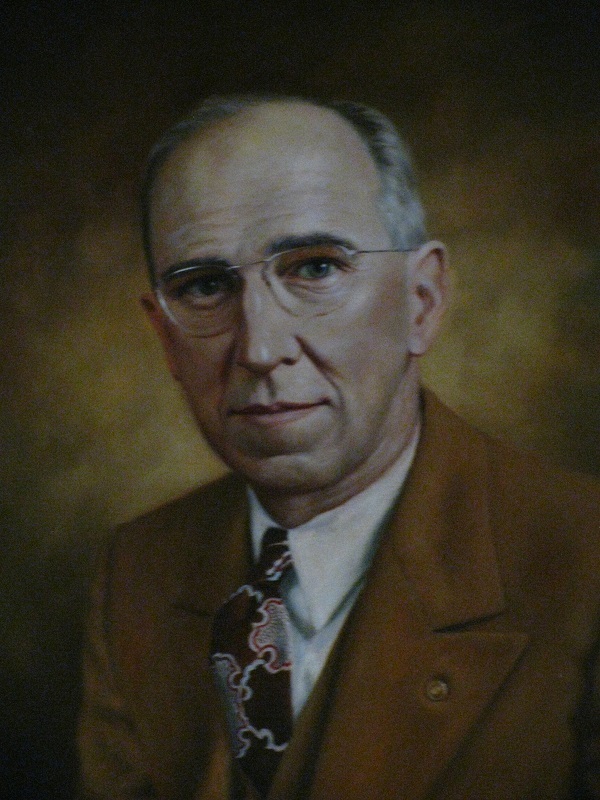 Judge Stewart’s portrait was painted by local artist Ken Fox, who is the last known surviving artist of the portrait collection. We were honored to have Mr. Fox attend our 80th Anniversary celebration and tell about his work as an artist. Additionally, history buffs may be sad to learn that Judge Stewart is the last judge of the portrait collection to be featured on this blog, but there are other historical figures of the local legal community that can be explored here. Please share if there are any particular ones you would especially like to read about. J.A. Burnquist, Minnesota and Its People (S.J. Clarke Publishing Co., 1924) p. 3:342-343. Stewart–Judge Aurthur A. (Obituary) St. Paul Pioneer Press, June 23, 1970 p. 20. “Thye Selects Former City Attorney,” St. Paul Dispatch, April 10, 1946.